Although the shortest of the four Gospels, the book of Mark wastes no words portraying the Saviour as a servant to others. The tone is practical, which appealed to the Roman mindset. We want to observe the Servant at work in this account of His life, noticing especially how clearly the key verse of the book (Mark 10:45) outlines the two major phases of His earthly existence and ministry. 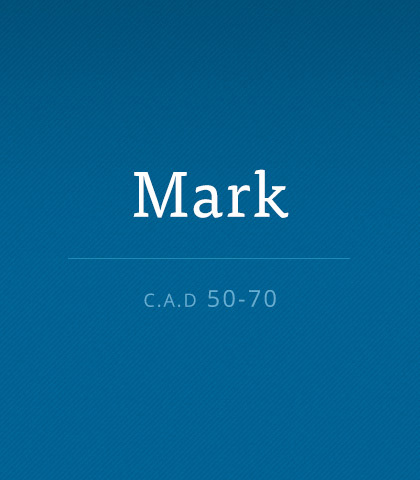 Mark 6:52 records a heartbreaking moment in Scripture: “[the disciples] had not gained any insight from the incident of the loaves, but their heart was hardened.” It took a storm to help the disciples learn a valuable lesson. What will it take for you to surrender to Jesus in faith? The “it’s all about me” attitude may be cute on a child, but it isn’t so cute on adults. Selfishness isn’t something we outgrow as we age. It takes a conscious effort to put others before ourselves.